They say the Earth is just a myth. Something to tell your children when you put them to sleep--the lost homeworld of humanity. Everyone knows it isn't real, though. It can't be. But when Captain Jace Hughes encounters a nun with a mysterious piece of cargo and a bold secret, he soon discovers that everything he thought he knew about Earth is wrong. 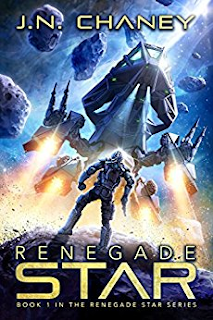 Experience the beginning of a sprawling galactic tale in this first entry to The Renegade Star series. If you're a fan of Firefly, Battlestar Galactica, or Indiana Jones, you'll love this epic, space opera thrill ride.